Take aim at the Resistance with the Star Wars The Force Awakens Nerf First Order Stormtrooper Pistol! This handy pocket pistol can shoot its 3 specially marked red darts up to 65 feet - wow! 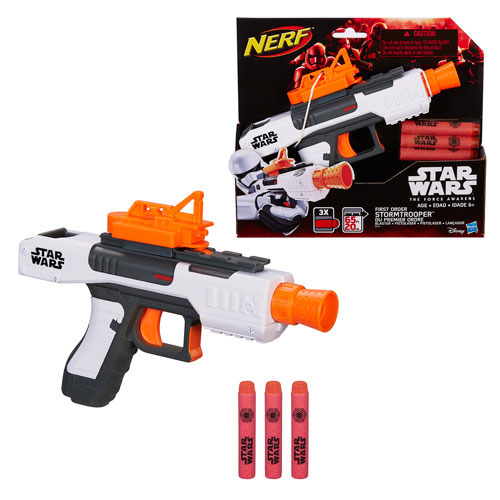 This fantastic blaster is just like the ones Stormtroopers would use, and it's great fun for ages 6 and up.